Attackers are extending their views and in recent months they have begun to create malware that functions on multiple operating systems with only a little variations in code. These malicious programs usually masquerade as applets and plug-ins for widely used cross-platform programs such as Java or Adobe Flash; the harmful programs then identify which system the user is running and install the appropriate version of their code. 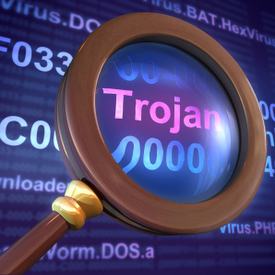 The Crisis Trojan is one recently discovered piece of malware that infects both Windows and Mac OS X machines. Researchers found that Crisis was a typical data-stealing Trojan, listening in on email and instant messenger communications. What was new, however, was that it targeted multiple versions of OS X. Also new was that the malware’s installer had disguised itself as an Adobe Flash installer, and checked to see what system the user was on before installing the appropriate version. This evolution in computer viruses is even more reason why users should keep their operating systems – and especially their third-party apps – up to date with all of the latest security upgrades and patches.